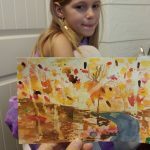 You might think that as an artist, my kids benefit from lots of art instruction at home. 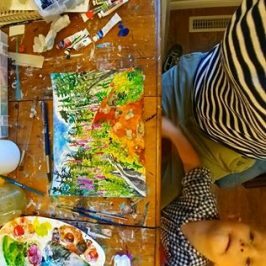 But we don’t have very much time to do art together! 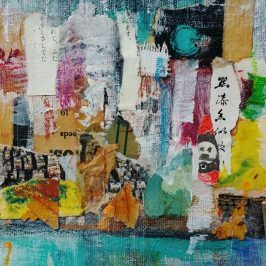 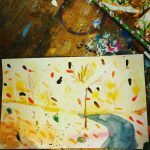 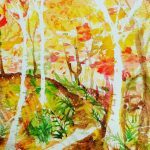 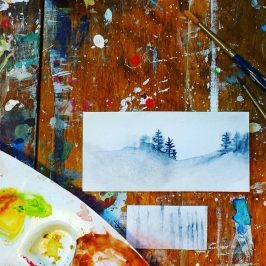 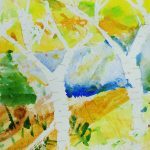 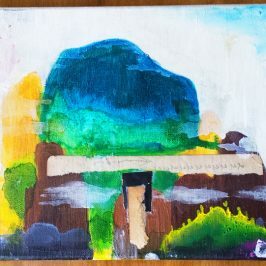 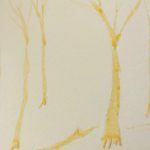 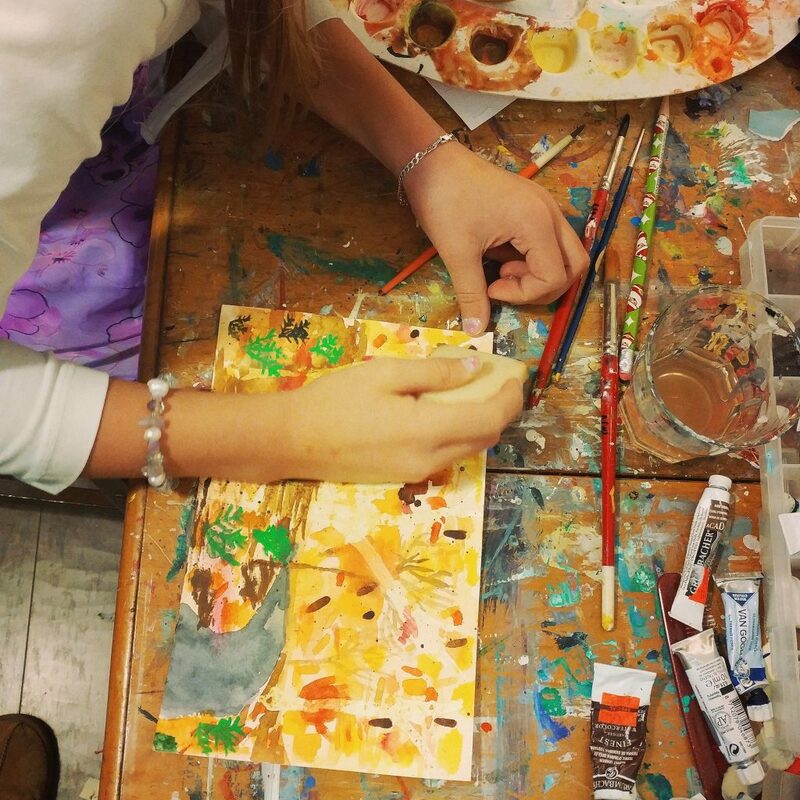 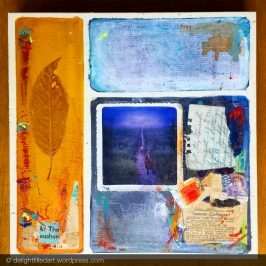 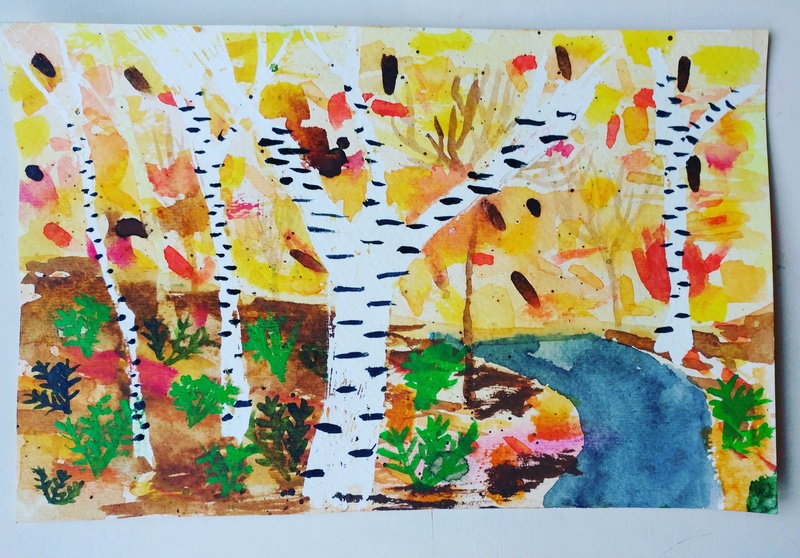 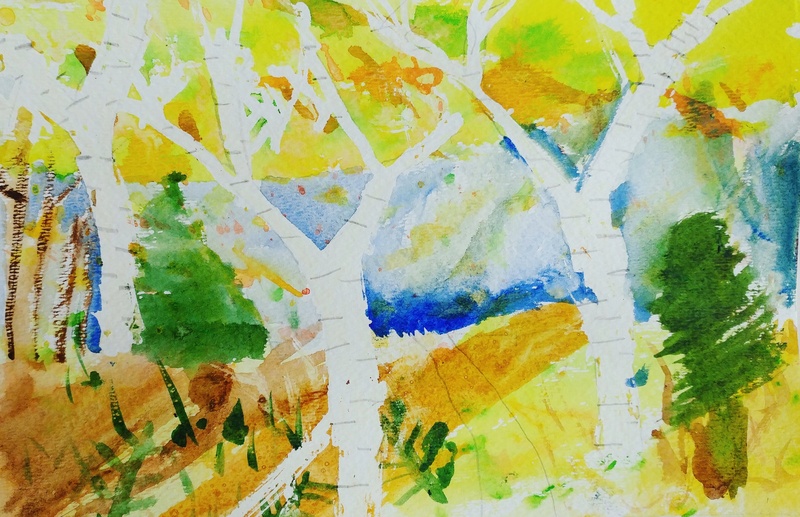 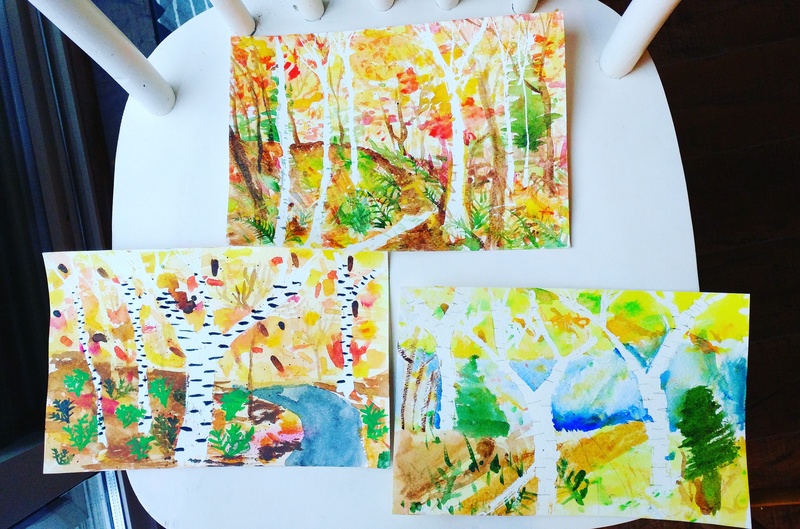 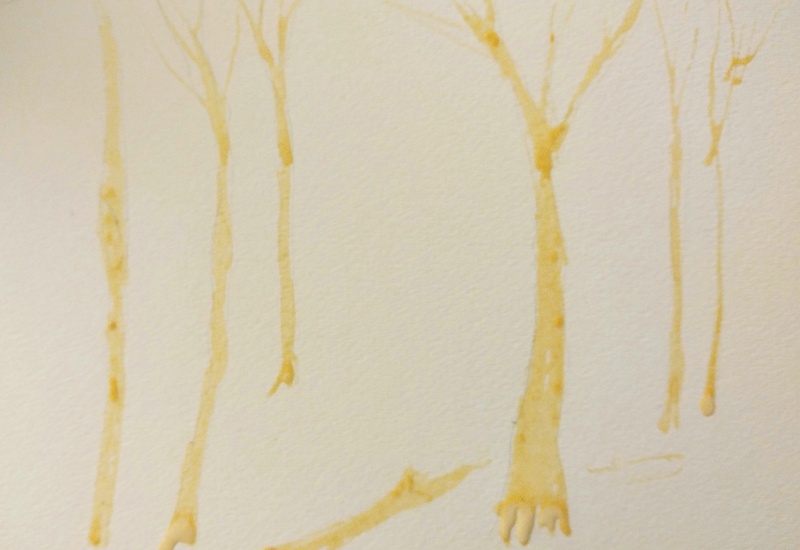 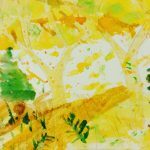 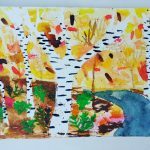 I thought of an idea to try while I was commuting to lead my older two children through painting a forest with white birch tree trunks masked off with masking fluid. 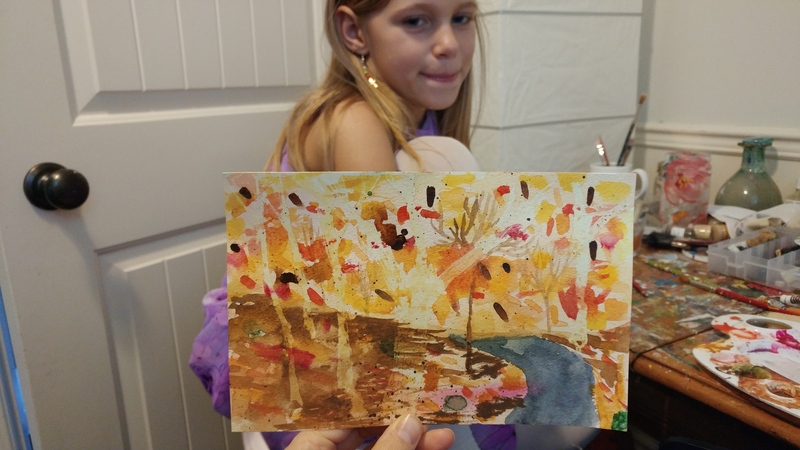 We had a chance to try it over the course of the weekend. 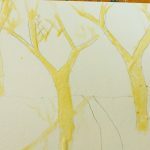 They both really enjoyed it, after an initial bought of tree-sketching anxiety. 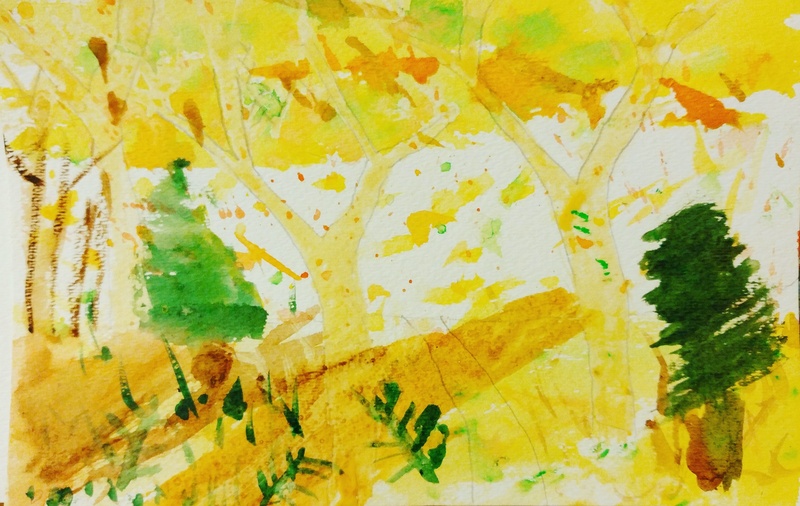 First, we drew the main keys in light pencil, then applied masking fluid with an old brush. 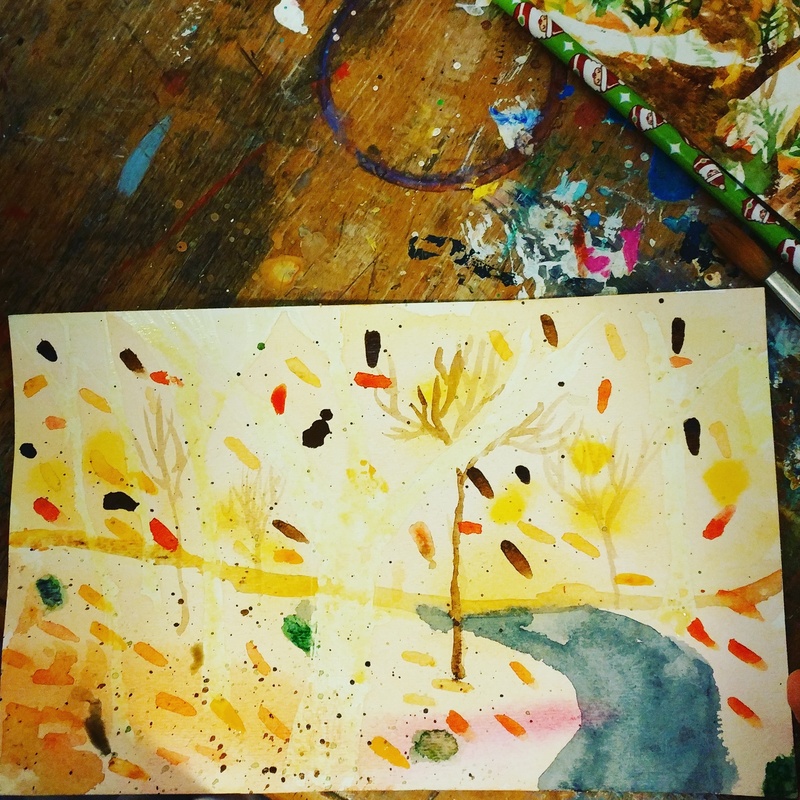 We let that dry completely, then painted the rest of the scene in the background using watercolour paint. 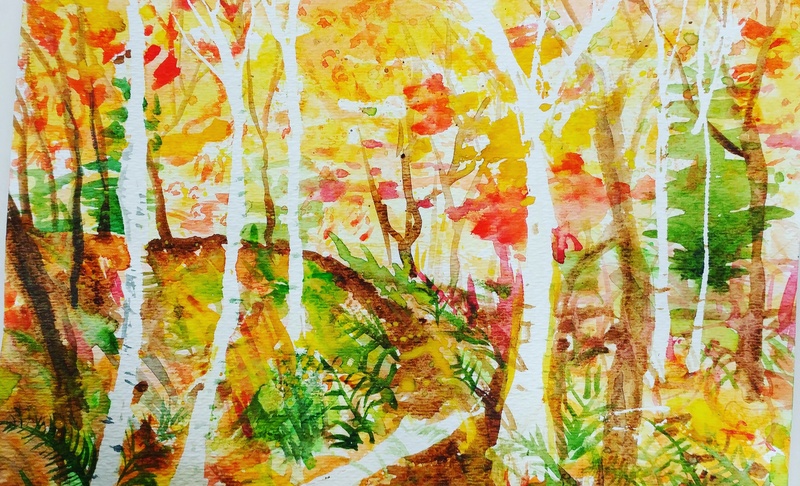 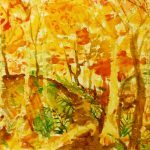 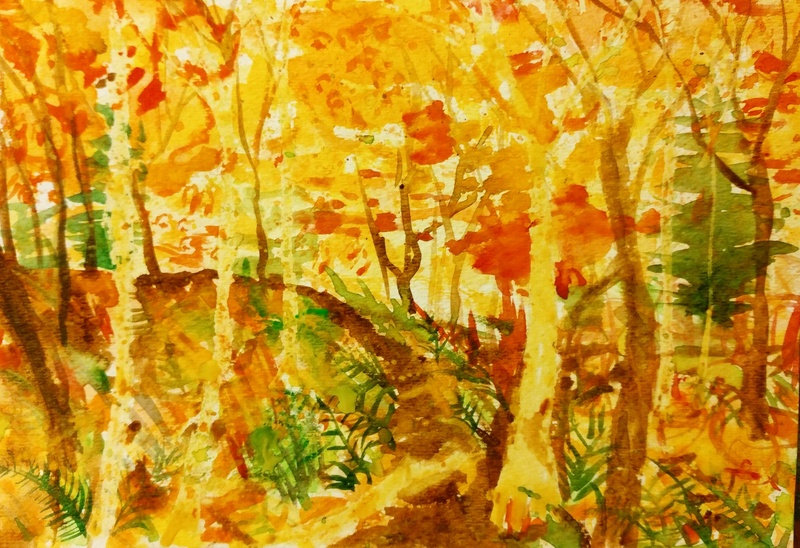 We used wet-on-wet technique, let it dry, then used drier strokes to make clearer elements like sticks, paths, ferns, darker tree trunks. 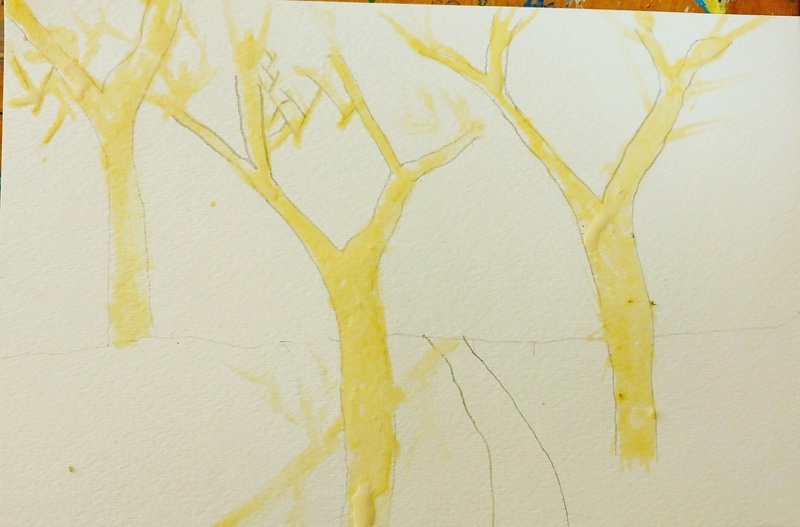 After letting that dry completely, the masking fluid could be removed revealing the stark white trunks. 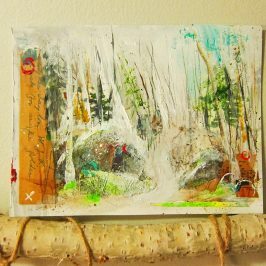 We used paint or pencil (my son) to make marks on the white trees to make them look more realistic.